Every once and awhile city infrastructure needs a little help from its citizens. 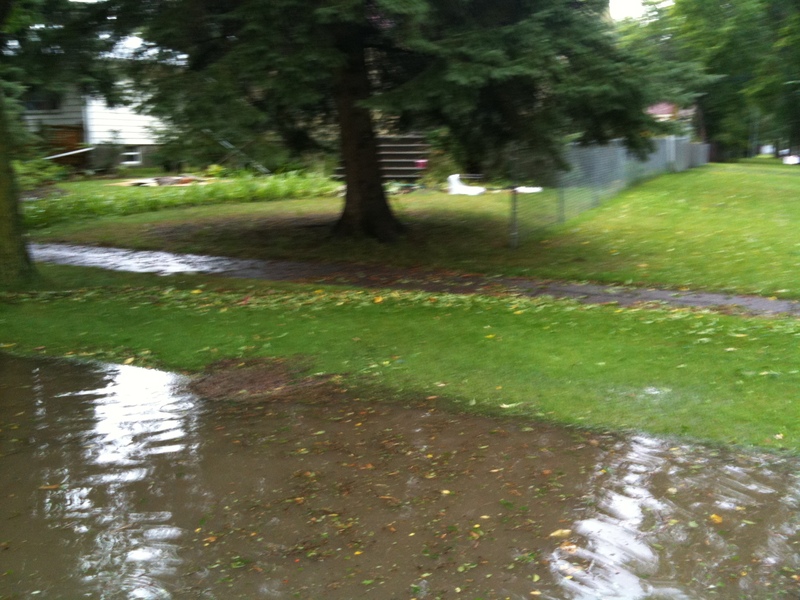 We had a lot of rain and hail come down in a short amount of time this afternoon. Flights circled overhead as the storm blew threw. 23 manhole covers blew off. On my simple little street, the water filled the street and jumped the curb. As Mother Nature cleaned her trees of leaves and twigs, the city’s infrastructure couldn’t let them through on its own. The leaves and twigs collected and blocked the water’s passage down the drain. Call the City to fix it. I chose the latter. 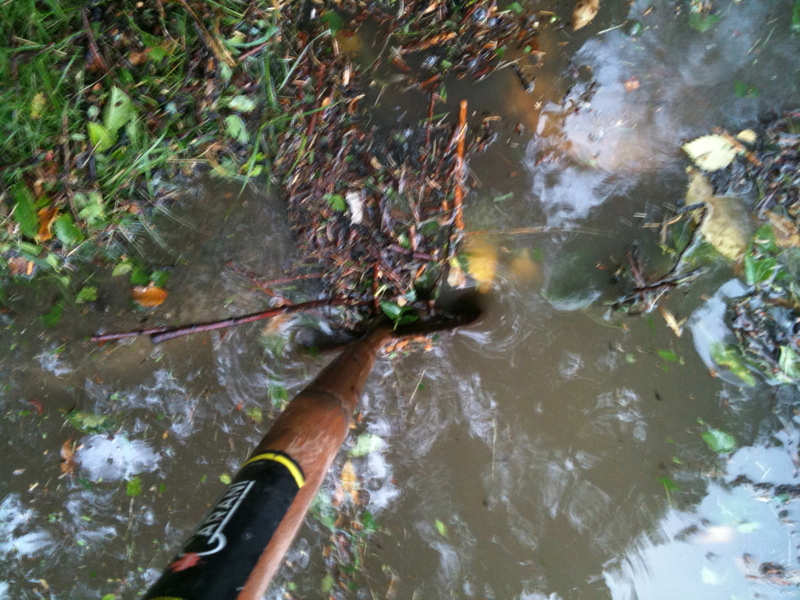 I donned my rubber boots and raincoat and headed out the garage to find a helpful tool. (I have to chuckle that I was more excited than my kids about going out to muck about in a big puddle!) What fun! The water was aching to make its way down the drain. When I moved a wee bit of the blockage the drain sucked the water. Almost violently. The city’s infrastructure was aching to do its work. It just needed a little assistance from a citizen to perform today. As I citizen, I often forget how closely linked my life is to the vast infrastructure we create, generation by generation, to create our city habitats. Our work has specialized to allow us not only to build, operate, maintain and renew this infrastructure. That is the work that some citizens do for cities, explicitly building the city. Citizens who perform other kinds of work in cities are still closely connected to our infrastructure. Everything we do depends on it. And from time to time it needs very basic attention, for which no engineering expertise is required. Sometimes the infrastructure system we have made for ourselves needs a little help from citizens. No expertise required. If interseted in the relationships between citizens, city infrastructure, and city decision-making, you may be interested in the Integral City Expo and eLab from Sept 4-27, 2012. I was the program co-designer and will be interviewing many of the 50 visionaries that will be participating.